We all make money mistakes. Some mistakes we learn from, while others we find to be more of a struggle. 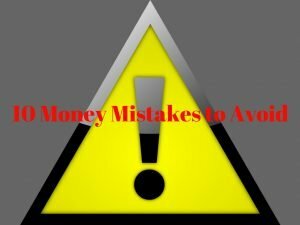 Here are 12 money mistakes to avoid. Making minimum payments on debts may free up cash in the short term, but long term this one act can rob you of your future income and wealth building potential. Minimum payments are just that- the minimum. Most of the minimum payment is disproportionately used to service the interest expenses, and very little (if any) goes towards the principal. Making minimum payments ensures your debt obligations is stagnant month after month and year after year. Below is an example of the financial impact of making minimum payments. The last two columns show the difference of adding an extra $50 or $100 a month in addition to the minimum payments. Minimum payments, or ‘affordable payments’ can be a wealth sucking trap if the payments are servicing consumer debt. To avoid this major money mistake, always strive to make more than the minimum payments and reduce your interest costs as much as possible. Payday loans are used by low and high-income earners alike. The stigma that payday loans are mostly used by low-income poor people is not true and a growing number of high income earners use payday loans. Looking at it from the borrower’s perspective, it not difficult to understand why so many people use payday loans. First, it is a quick way to get the money you need right away. No waiting a day or two, no excessive documentation needed for the credit application, just a few documents and you are on your way. Second, most payday loans do not do a credit check. Bad debts, bankruptcy, judgements, no problem, you can still get a loan if you have the income to back it up. Lastly, no holds on cashed cheques. Although the payday loan company will take a fee for cashing your cheque, there is typically no holds on any cashed cheque unlike traditional banks which may hold a portion of your cheque until it clears. This can mean days waiting before you have access to all your money. So, what is not to like about payday loans- predatory lending. The interest rates on payday loans are astronomical, but because they are advertised in such a way to disguise their ‘true cost’ many people sign up for these loans and don’t think much of it. For examples, Sam earns $1,000 a week, which qualifies him for a $400 cash advance from his local payday lender. This money must be paid back plus applicable fees on his next payday, 14 days from now. The lender advertises that a $15 fee would be charged for every $100 borrowed, so in total, it would cost Sam $60 ($15 X4) to finance his $400 loan over 14 days. Since interest rates are expressed annually and not in terms of days, it is important to convert these fees into an annualized interest rate. Annual interest rate = 1.07142% x 365 days = 391.06% interest rate (close to 400% annualized rate). If someone was to offer you a loan at 400% interest rate, you would probably look at them and laugh, but these interest rates are common for payday loans. The 400% does not include any late charges or penalties for missed payments or for carrying over the debt to the following payday cycle. In almost all cases, payday loans are a bad idea and a big money mistake to avoid. Most co-signing agreements are a bad idea and should be avoided if possible, especially if you are not blood related or married (in which case you would just do joint) to your co-signer, even then it can be disastrous. Financial institutions are in the business of managing risk and pay lots of money to hire actuaries, underwriters and risk analysts to implement algorithms that will help bankers quickly determine risk. Most people require a co-signer because they have bad credit, no credit or insufficient income or assets. The bank does not feel the individual will be able to repay the loan given their financial situation at the time of applying. If banks have the resources and human capital to determine the probability of risk to an alarmingly accurate rate, co-signing can be a strong indicator of a major money mistake. Co-signing is also just a bad business proposition all around. In most instances, the co-signer gets no charging privileges (they can’t use the loan themselves), but is 100% liable for the debt if the principal borrower is unable or unwilling to repay the loan. Even if as a co-signer, you are 100% confident that the person will repay the loan on time and in full, co-signing can still negatively impact you. If you every decide in the future to request a loan/line of credit from a bank, the balance of your co-signed loan will appear on your credit report and may be used to calculate your total debt service ratio (TDSR). This ratio basically tells lenders your ability to take on more debt with your current debt, housing expenses and family income. If the co-signed debt puts your ratio higher than the acceptable threshold, you may find yourself denied for the loan even with a good credit score and a decent income. Leasing a vehicle seem appealing as you get to test out different cars over a shorter period than if you financed or bought outright, but the cost, lack of equity and strict contract rules make leasing a vehicle a common money mistake. Your contract doesn’t change if you leased your car and got into an accident. If you get into a car accident and your vehicle it totalled, you would still be responsible to pay back the full lease amount, even if your insurance company gave you less than this amount. There are also other restrictions like limiting the number of kilometres you can drive the vehicle over a number of years. Go over this amount and you pay an extra surcharge for every mile over. So, if you want to do a cross country trip with your leased vehicle, it is probably not a good idea. With a vehicle lease, like any other lease you also don’t own anything and are not building any equity. If you decide to buy out the vehicle at the end of the lease, you will end up paying more in total than if you financed it from the beginning or bought it outright. Government benefits are meant to supplement personal retirement savings not replace them. 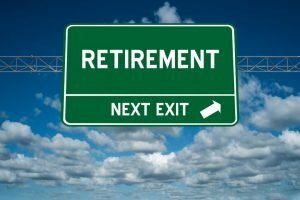 Most people that would like to retire comfortably will need to save and invest in addition to receiving government benefits. There is also no guarantee that the government benefits retirees now enjoy will be available when you retire. This becomes even more problematic the younger you are and the further away from retirement you are. A change in government/ political party or economic shifts can be all it takes for some government benefits a distant memory. For most people, investing in individual stocks is risky business. Although some investors have made a fortune doing this, no one can see the future and for most people investing in individual stocks is a bad idea. Putting your money individual stocks is concentrating your risk on just a few companies, and even if these companies happen to be large cap companies, lack of diversification opens you up to unnecessary risk. Instead diversified investments like mutual funds and ETF’s are a much better way to hedge risk and still get decent returns. The wrong individual stock investment can make the purchase a big money mistake. The management expense ratio includes the management fees and day to day operating expenses to run the fund (e.g. record keeping, fund valuation costs, audit and legal fees etc.). The MER that you pay on your investments can slowly but consistently eat away at your profits as these fees are charged annually. For most investors to lower these fees, many of them may need to shift from active to passive investing. Active investing attempts to outperform the market. Active fund managers search out information and gather insight to help them make their investment decisions by trying to exploit inefficiencies in the market. This kind of concentrated effort and human capital comes at a cost, translated into higher MER’s. For example, most mutual funds have an MER of 2% or more a year. In contrast, passive investing (indexing) is investing in the same securities and the same proportions as an index like the Dow Jones, S&P 500 etc. It is passive because portfolio managers are not required to make decisions of what to buy and sell, but follow the same methodology as the index it follows. Passive investing does not try and outperform the market, but tracks it. Exchange traded funds are a good example of low cost investment vehicles. ETF’s MER’s are usually less than a percent and can be as low as 0.05% to 0.25%. Most people don’t realize the severity and sizable impact of their student loan debt until after they graduate and must repay the loan. Unfortunately, the broken system is a result of not talking about money in the home and an education system which lacks teaching this crucial information. Will your degree be marketable? How easily can you get a job once you graduate? Are employers interested in hiring someone in your field? A good way to find out this information is to contact employment agencies and ask them what the appetite for someone in your field is. Employment agencies focus is on understanding the job market so they may have more up to date and accurate information than relying entirely on other sources. What is the proportion of my student loan debt to my annual salary after graduation? A general guideline might be not to take out more student loan then you can reasonably expect to earn in one year coming out of post-secondary. For example, a school teacher that incurred $100k in student loans at private schools and has a starting salary of $40k probably took on more student loan debt than can reasonably repay. Of course, no debt is the best option, but school is expensive, and student loans can be a blessing if managed well, minimized and used for their intended purpose, school expenses. Spending your money to improve your mood or make you feel better might work in the short term, but long-term this approach to dealing with problems is not healthy mentally or financially. Retail therapy, or shopping based on emotions and not on intentional purchases leads to impulse purchases which in turn leads to buyer’s remorse. To make matters worse, if excessive shopping is not curtailed, this can lead to increased debt, difficulty paying bills or making minimum payments on debts and overall stress. Instead, it is important to be aware of the triggers that may cause you to overspend or indulge more often than you should. Once you can identify your emotional triggers, you can work towards substituting negative behaviour with positive ones. For example, avoiding the mall and going for a walk with friends instead, keeping your bank cards at home while window shopping etc. Being in the dark about how money is being spent in the home, what bills are owed and what kind of investments you and your family have is a recipe for disaster. Even though each partner may have their respective ‘roles’ in the home, those roles should overlap enough so that each partner has a general idea about what is going on with the money coming in and out of the home. There are also practical benefits to knowing how your family finances are run. If your partner gets sick or passes away suddenly, the stress and burden of dealing with the loss and starting to understand what financial situation you are in can be extremely overwhelming. Talking to your partner about your family finances also allows the exchange of ideas (e.g. where can we cut back, how can we save more, where can we invest etc. ).